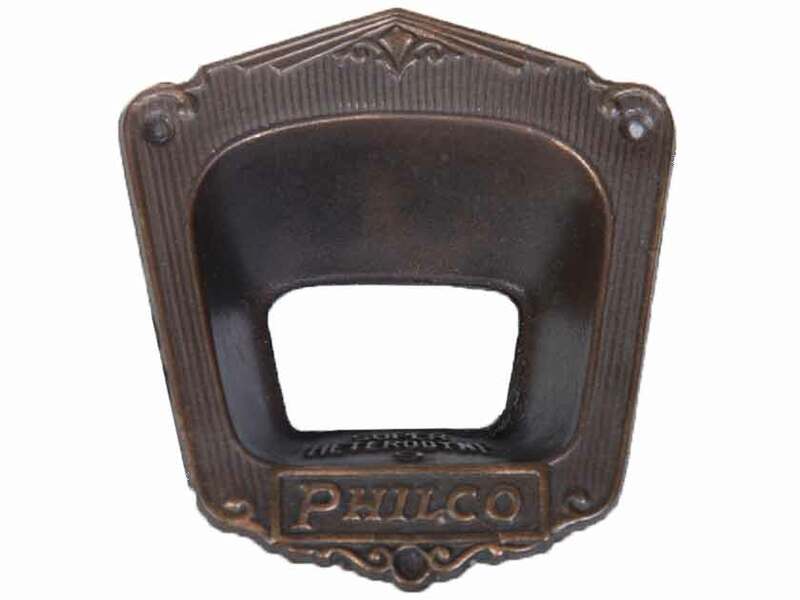 Reproduction escutcheon used on Philco model 70, production other than Serial number B-22,000. If you are not sure if your radio should have a metal or plastic (Bakelite) escutcheon, consult the table on the bottom of this PhilcoRepairBench Web page. Made to look similar to the bronze escutcheons. The Philco 70 Bakelite escutcheon is identical to the 90 escutcheon, except that it has a "7" in the bottom of the window. Dimensions: 2-1/2" long, 2-3/8" wide, opening 1-1/8" x 3/4"